Camp Campbell Steele adjourned early Saturday. After a whirlwind clearing and cleaning of the apartment, we wanted to take care of the stuff for which there was no obvious decision to make. We unearthed not one, not two, but five Case Logic CD/DVD folders stuffed to the gills with a decade’s worth of CDs and DVDs, for example. Each disc required examination, and many were unlabeled. Many were just CD burned ad hoc to listen to in the car. But a few contained years of accumulated photos and emails worth saving. They were burned during a time when committing data to disc felt like the right thing to do, like a permanent backup. Most of them followed us from Iowa to Michigan to here, forever stuffed away, “safe” in the back of closets. The discs, I’ve since learned, are anything but permanent, and I really wanted those dumb folders out of here, so I popped in the first of many discs and started the process of copying, dismissing errors, and rending garments. I won’t go further because nothing’s duller than a lamentation about long-term storage and data transfer. It was an odious task though, and as I look over at another box full of untouched DV tapes, and two boxes full of hundreds of audio CDs, I feel—honestly?—a bit disenchanted. Jilted, even. And increasingly pessimistic that collecting data is worth the effort it takes to keep in order. Charlotte and I turned our attention to another kind of salvage a few nights later. 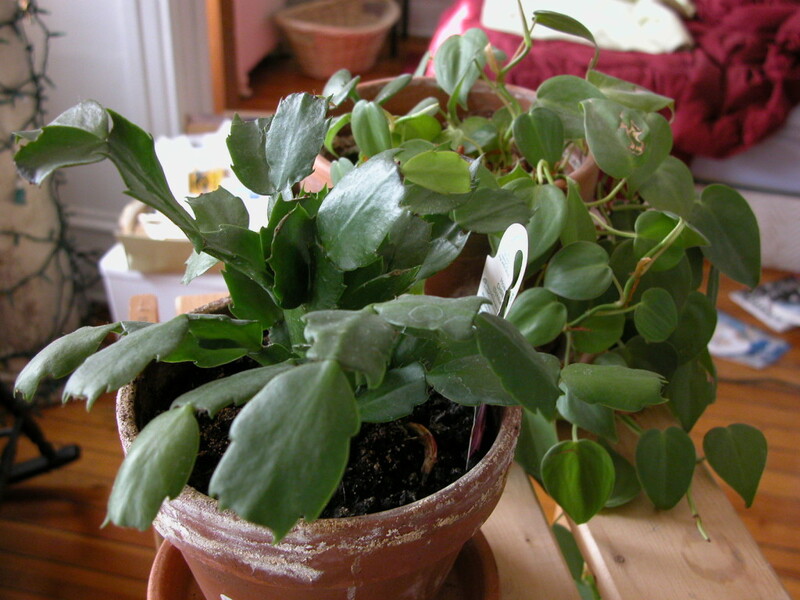 Our Christmas cactus has been just barely hanging on for years and I was possessed with the notion that what it needed was a total soil replacement. I’d even mix my own soil. 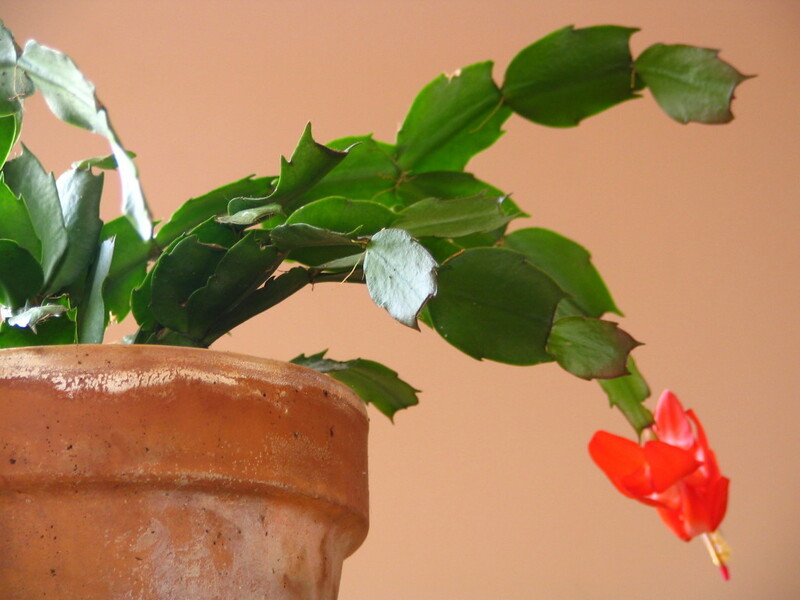 Christmas cactus, August 9, 2015. We spread newspaper out over the table and gently tipped the clay pot onto its side. A firm shake and the whole plant was in my hand. Most of the dusty, years-old soil spilled out around it. 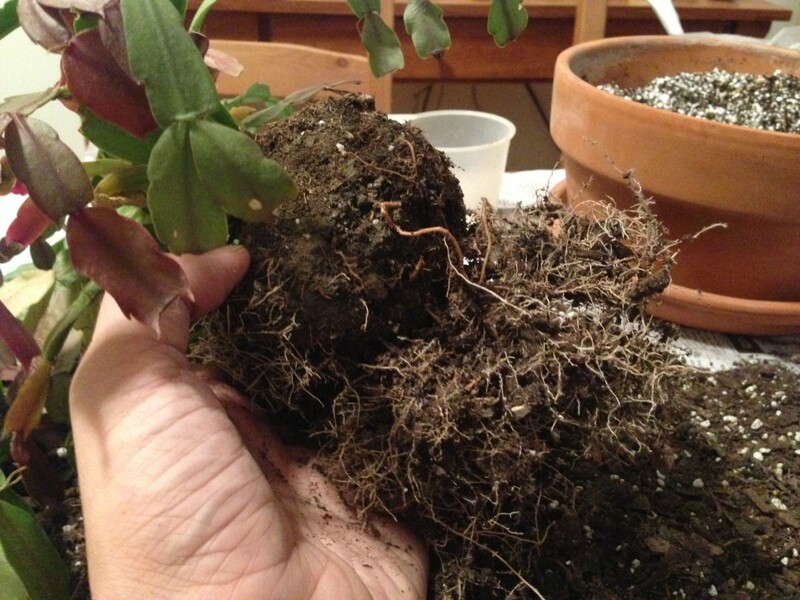 What remained was a solid ball of sandy soil that had cemented itself around the central root system over the years, gradually suffocating the plant. The cemented central root ball, with a few roots that managed to break free over the years. Computer safely shut off behind us, we turned total focus to freeing the plant’s tiny, ailing root nodes. It was delicate work. With even the most gentle brush, we heard the unmistakable sound of roots tearing. Each tear made me more determined to save the plant. Those roots, like those dumb DVDs, had traveled with us from Iowa to Brooklyn, where, also like those dumb DVDs, they got all tangled up and unmanageable. The DVDs I copied and shredded. The roots I wanted to last. I gave up my fingernails, I broke a sweat, I took the pains of an archaeologist, all to get water and oxygen back around those roots. We won’t know for a few weeks whether this worked. And assuming the plant doesn’t die soon in some obvious way, we still won’t know until November whether the plant can muster the energy to bloom. 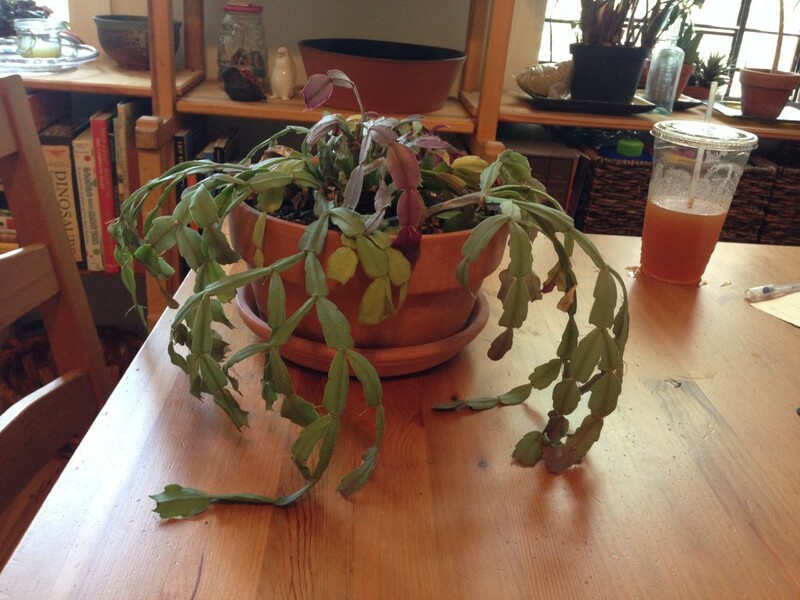 Ultimately, the value of this little obsession doesn’t hinge on whether the plant lives or dies. The decades-old dirt moved me back in a surprising, touching way to our previous lives, something that thousands of files on a DVD couldn’t do. When you say, “my own soil” …?